Welcome to the HGDS Family where we are always dancing from the INSIDE out! Classes that are a Level 1 are open to all dancers that fit the age requirement, no experience necessary. If you are a returning student and have a specific level placement from our teachers, you may register for that class. If you are new and/or not sure what level your dancer would be in, please complete your registration with no class selected and contact us to finalize your registration. I have read, understand, and agree to the terms specified in the policy information on the website.. I authorize HIGHER GROUND DANCE STUDIO to use pictures of my dancer for use on their website and/or flyers. As the legal parent or guardian, I release and hold harmless HIGHER GROUND DANCE STUDIO, its owners and operators from any and all liability, claims, demands, and causes of action whatsoever, arising out of or related to any loss, damage, or injury, including death, that may be sustained by the participant and/or the undersigned, while in or upon the premises or any premises under the control and supervision of HIGHER GROUND DANCE STUDIO, its owners and operators or in route to or from any of said premises. 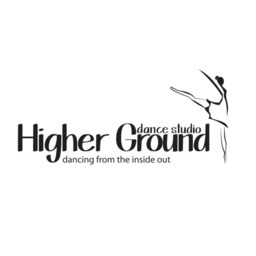 The undersigned gives permission to HIGHER GROUND DANCE STUDIO, its owners and operators to seek medical treatment for the participant in the event they are not able to reach a parent or guardian. I hereby declare any physical/mental problems, restictions, or condition and/or declare the paricipant to be in good physical and mental health. I request that our doctor/physician ________________ be called and that my child be transported to ______________________ hospital. Please include physicians' phone number _______________.